The ML320 will be available in Orange and Black. Coming Soon. 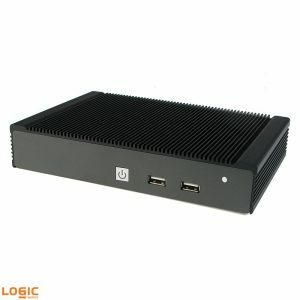 Meet the Next in Logic Supply’s fanless, ventless Next Unit of Computing (NUC) series: the ML320, featuring Intel’s Haswell NUC motherboard. Its got all the bells and whistles standard in the ML300 — Fanless, Adjustable I/O, best in class thermals, expansion bay and the like — but now packing some extra features that set it apart from its sister system. Sporting 4th generation Intel Core processors and improved audio & video capacity, the ML320 is a powerhouse. It come standard with two USB 3.0 ports in the rear. The expansion bay can be put to use housing one of the new In-PC UPSs or dual drives thanks to the additonal mSATA port. Its even got an infrared sensor on the front panel and a headphone/speaker jack on the rear. Haswell is the codename for the low-power, high performance processor developed by Intel as the successor to the Ivy Bridge architecture. Find out more about the new Haswell NUC from Intel. SSD Drive for fast booting and mSATA drive for mass storage. Multiple lightning fast USB 3.0 drives. More graphical power with Intel HD Graphics 5000. An integrated IR sensor for remote IR access. The ML320 will be available to the general public soon, so contact us for early opportunities or to get on the list! 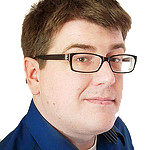 Do you know if or when the Haswell NUC will be availible with vPro? Unfortunately, as of right now it does not support it and as far as I am aware, Intel hasn’t released a time table for when it will.